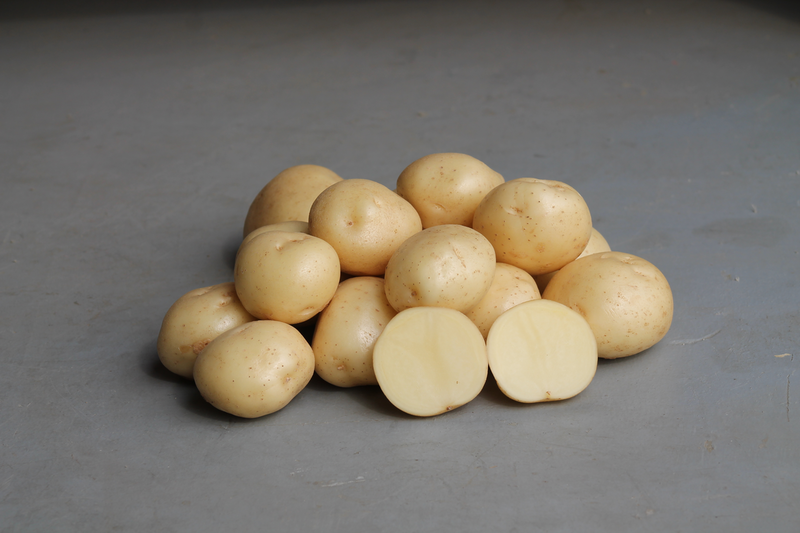 Volare is a high-yielding fresh table variety with white flesh and smooth skin. Tubers are large, uniform, round-oval, and mature very early on. Sencor is not recommended as it gives a severe foliage reaction and some yield reduction. Volare has a short dormancy and is therefore not suitable for long term storage. Volare is a little susceptible to common scab. Resistance to virus Yn is good. Volare is resistant to PCN Ro1 and Ro4.